Chronic obstructive pulmonary disease (COPD) is the name for a collection of lung diseases including chronic bronchitis, emphysema and chronic obstructive airways disease. People with COPD have difficulties breathing, primarily due to the narrowing of their airways. This is called airflow obstruction. The main cause of COPD is smoking. Smoking damages the lining of the lungs and airways causing them to be scarred and narrowed. Quitting smoking can help to stop COPD from getting worse. COPD can affect your life in many ways, but help is available to reduce its impact. In Blackburn with Darwen, there are a range of support services for people living with COPD. The Intensive Home Support Service (IHSS) is able to offer urgent assessments of patients, within a guaranteed two hours of referral by your GP / health professional, (in Blackburn with Darwen patients can also self refer). This means that the patient and their carers receive some additional support and reassurance that their care plan is sufficient. The IHSS is able to check that the patient can use their inhalers correctly, and work with them on relaxation techniques if that is needed. If their condition changes then the IHSS are able to organise a hospital admission or additional investigations or therapy. This complete package of assessment and review of the care plan helps the patient to feel reassured that they will not be left on their own if their condition deteriorates. The below video highlights a patient story and provides an overview of what the IHSS team do. Intensive Home Support Service from Together a Healthier Future on Vimeo. 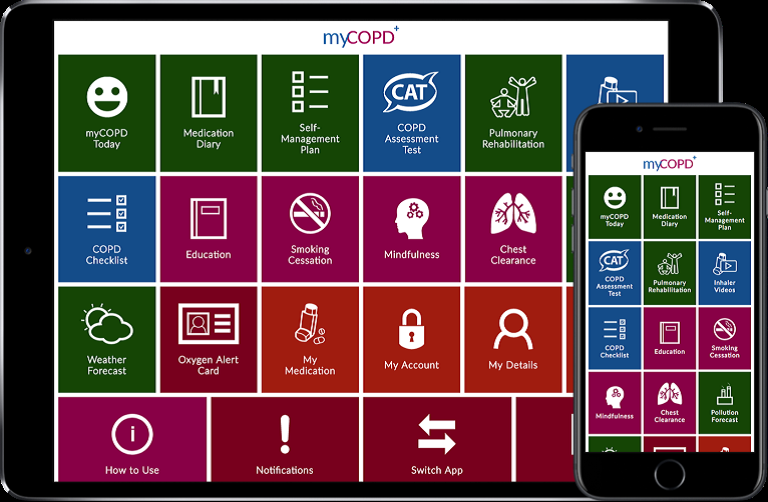 MyCOPD is an online self-management tool to enable patients to manage their COPD better. It has useful techniques such as inhaler videos as well as a wide range of other educational material. It specifically includes a video based Pulmonary Rehabilitation course, as well as some advice about how to manage breathlessness and anxiety. The tool is accessible on all devices; PC, laptop, tablet or smartphone. The Respiratory Assessment Unit (RAU) at the Royal Blackburn Teaching Hospital treats patients from the age of 18 upwards, with a range of respiratory conditions including COPD, asthma and pneumonia. Managed by a team of specialist respiratory nurses, the RAU will focus on assessing, stabilising and treating patients who require hospital treatment, but can be discharged home the same day. Patients will be referred to the unit via the Emergency Department, Urgent Care Centres and Acute Medical Units. Patients will also transfer from inpatient wards or be referred from their GP. Patients will be referred to relevant follow-up services in the community when they are discharged from the unit.